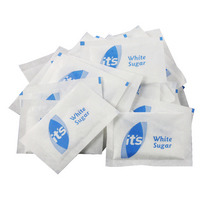 MyCafe White Sugar Sachets (Pack of 1000) AU00377 Pack of 1 White sugar sachets for sweetening hot drinks. Ideal for meetings, conferences and general catering needs. Non returnable. 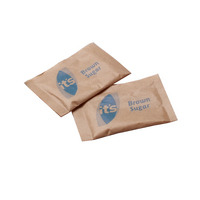 MyCafe Brown Sugar Sachets (Pack of 1000) A00890 Pack of 1 Brown sugar sachets for sweetening hot drinks. Ideal for meetings, conferences and general catering needs. Non returnable. 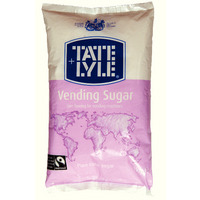 Tate & Lyle White Vending Sugar 2kg (Pack of 6) A00696PACK Pack of 6 Granulated White Vending Sugar 2kg. Ethical Fairtrade certified sugar. Long-life for extended use. Free flowing formulation designed for vending machines. Pack of 6. Non returnable. 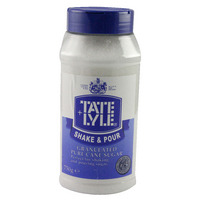 Tate & Lyle White Shake & Pour Sugar Dispenser 750g A03907 Pack of 1 Tate and Lyle Shake and Pour Sugar Dispenser. (750g). Ideal fro refilling sugar bowls. Can also be used to pour or shake over desserts. Non returnable.